Mosaic knitting: much easier than it looks. 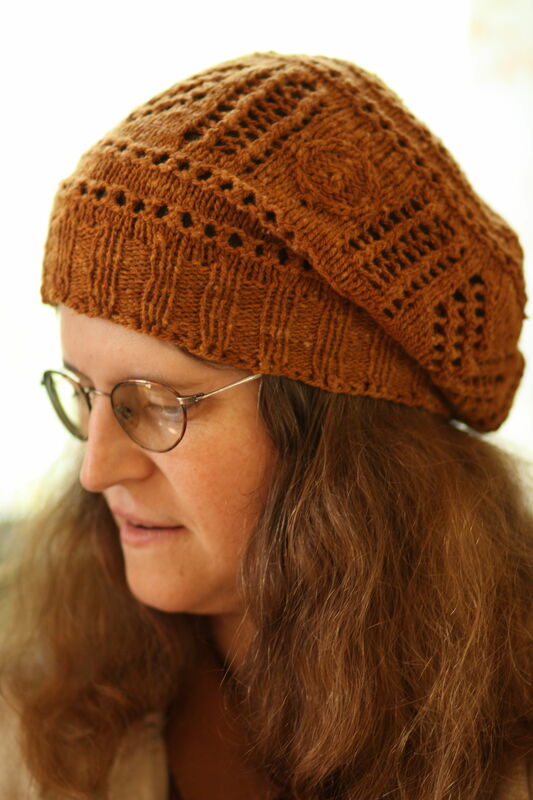 This beautiful new hat pattern from my friend Sarah looks complicated, doesn’t it? It’s called Mighzal, which means spindle in Arabic. She took the concepts of using writing as decoration on spindle whorls and the concept of a Kufic square, which rotates the same word around the four sides of a square to make a complex looking tile, to create a hat pattern which will let the wearer proclaim their love for spindles. 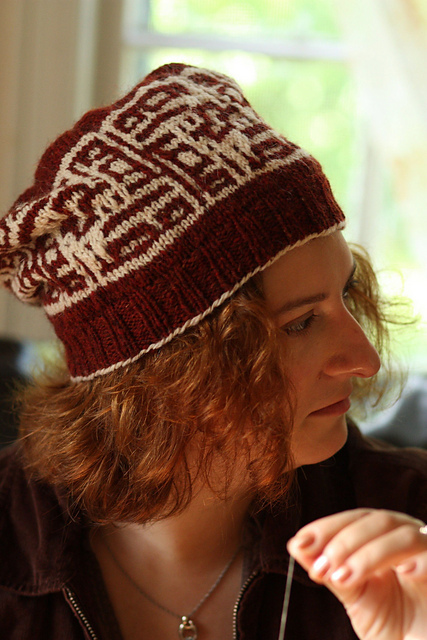 It looks really difficult, but is only a step up in difficulty from knitting a hat with two-row stripes. 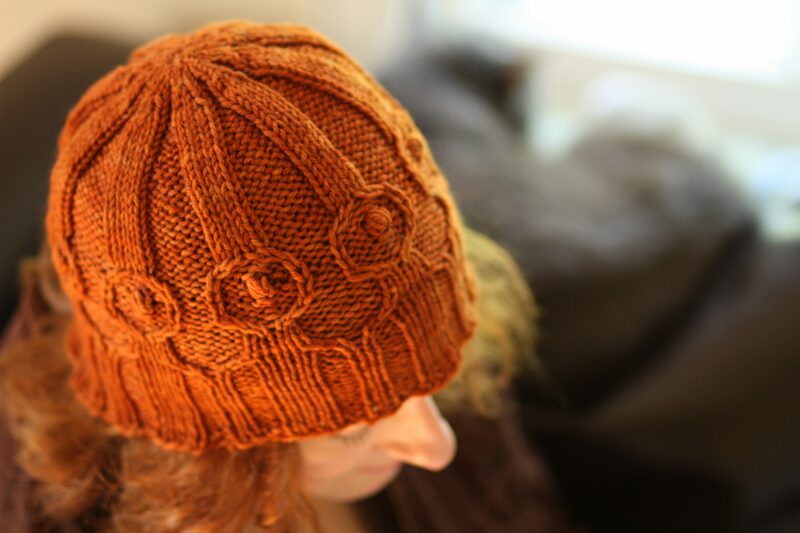 The technique of mosaic knitting, refined by Barbara Walker, lets the knitter not only work with only one color at a time, but count stitches only on every other row because the first row in each stripe defines quite clearly what happens in the second row.